Ina Dixon explains how a letter from her grandfather to her grandmother, written just before the Battle of the Bulge in WWII, reconnects her to her grandfather and the hardships he suffered at the time. Andy Mink: My name is Andy Mink, I’m the vice president for education at the National Humanities Center. I’m with Ina Dixon, who is the program coordinator at History United, which is part of the Virginia Foundation for the Humanities, and located in Danville, Virginia. I’ve asked Ina to share with us her Humanities Moment. I know the last time you and I talked about this, you said something that stuck with me. I’ve been trying it out in a couple of places. That was the sense of interacting with something that makes you feel less lonely or more connected to others. I’d love to hear your Humanities Moment, maybe to get your thoughts on what a Humanities Moment might be, both as a process, a way of knowing, as well as a moment itself. Then share with us what you brought today. Ina Dixon: Great, thanks, Andy. Well, I’d love to share with you a letter that my grandfather wrote to my grandmother. He was in World War II. In 1944, he was in the Battle of the Bulge. We have all of his letters—his name was Richard Smith Dixon—to Madeline Dixon, his wife, my grandmother. She was living in Kentucky at the time. She saved all of his letters and he didn’t save any of hers. She was always very angry about that. We have really one side of the story. But my cousin transcribed all these letters. There’s very many that I love, but I’d just like to take one as a particular instance of a Humanities Moment and read a little bit of it, then explain why I found my Humanities Moment in this letter. Early in the letter, he’s talking about how dirty it is and how cold. 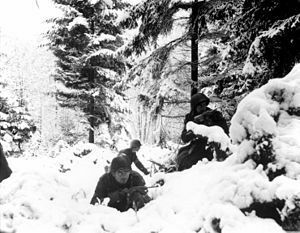 If you think about the Battle of the Bulge, they’re fighting in the mud and in the cold winter. The idea of him thinking about clean, white sheets, it really humanizes my grandfather, who I didn’t really know. It humanizes a war that I didn’t live through. But the fact that I can feel that same sense of the kind of relief and security that he must have been wishing for at this time, I think that is really what a Humanities Moment is all about. This letter provides that sort of connection for me.